Lovers of blood-drenched indie platformers, rejoice! Super Meat Boy will be coming to Xbox Live Arcade in 2010. 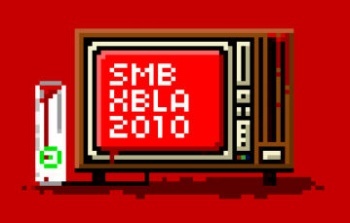 Creator Edmund McMillen seemingly announced the news in a brief email to MTV Multiplayer with an attached image containing the words "SMB," "XBLA" and "2010." The message seems pretty clear: Either Nintendo is taking Mario and Luigi cross-platform, or Super Meat Boy will be hitting Xbox Live Arcade later this year. Super Meat Boy is based on a Flash prototype McMillen released in 2008 that tells the story of a tenacious, anthropomorphic cube of meat and his quest to save his girlfriend, a wadded-up ball of band-aids, from the clutches of a maniacal fetus in a glass jar. Super Meat Boy has been nominated for two awards at this year's Independent Games Festival, including Excellence in Audio and the Seumas McNally Grand Prize.